I’m not talking about qualifying for a merchant account as in being approved for a special rate program. I’m not talking about qualifying for a rate that some businesses can get that others can’t. I am referring to the procedure that you follow when you (or your employees) accept transactions at your business. Yes, I’m talking about the actual steps that you take when typing a credit card number into your point of sale device at the time a customer gives you a credit card to process. There are ways to increase probability that you pay lower rates and fees, even after you have signed up for a merchant account and your rates are set. These are things you can do to help save yourself some money. Let’s say you have a 4-tiered pricing structure. Each tier holds a different percentage rate ranging from 1.39% to 3.50%. As referenced in the tier based merchant account article, any given card that is accepted can fall into one of these categories based on “qualification” guidelines set by the payment card association. Hence, you can “qualify” each transaction for the lowest rate (category) available on your current pricing structure, no matter what it is. Have you wondered how it is determined which rates will show up on your statements? Or better yet, how they are charged to you? Why does one type of credit card, when accepted at your business, cost you only 1.54% and others cost 2.40%? Well, the short answer is that Visa and Mastcard have done their homework on which types of cards hold a higher risk of chargebacks, and a corresponding rate is set. There are other variables that go into setting pricing, but we’ll keep it simple for now. Along with determining the rates, certain requirements or “qualifications” are assigned to each interchange category and all of those requirements must be met in order for that transaction to be placed into that interchange category. The interchange level labeled as CPS/Retail holds a credit card rate of 1.51% plus a $.10 transaction fee, as of the summer of 2013. When a credit card is presented at your storefront it must meet certain requirements in order to be awarded that 1.51% + $.10 transaction fee. If the transaction does NOT meet these requirements it falls into another category that likely holds a different, higher percentage rate. Furthermore, there are limitations placed on the card types and business industries that can qualify for this interchange category. Accepted at a place of business other than restaurants, fast food, supermarkets, automated fuel dispensers, and retail service stations. That’s a lot to swallow isn’t it? Don’t worry, there’s light at the end of the tunnel. But there’s one more thing we must cover first. 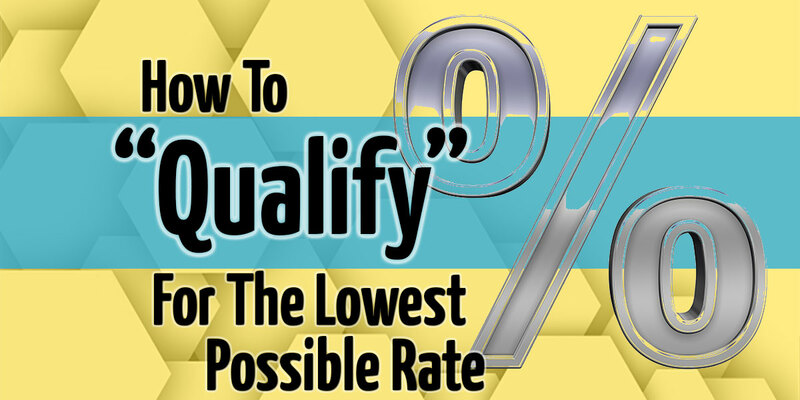 As you are beginning to see, the more “qualifiers” you have in place at the time you run a transaction, the more likely it will be that you will pay lower rates. Address verification is another qualification requirement for many interchange categories especially in card-not-present environments. However, it does not exclude retail environments. Major components of address verification include keying in, at the time of the sale, the 3 digit (or 4 digit) code on the back of the card, typing in the card holder billing zip code or street address number or providing the last four digits of the credit card primarily found on retail settings. If components that make up address verification (AVS) are not met, it could result in an interchange level requirement not being met. Some of the requirements and limitations of a certain interchange categories are beyond your control. Let’s look at a few scenarios. Say your Verifone VX570 credit card terminal is plugged into an analog phone line just as it should be and your automatic settlement doesn’t connect because the phone lines suddenly go down. Your only option is to settle the transactions when the phone lines are back up and that could exceed the 24 hour requirement for most qualified transactions. The result? Higher/different rate category. On a different note maybe a customer pays you with a foreign issued credit card. You’re automatically faced with a mid-range qualification and a percentage rate somewhere in the mid two’s, instead of a 1.51%. The result? Same as number 1. Yet another example is that a customer pays you with a small business credit card instead of their personal issued credit card. The result? See number 2. As discussed above, address verification requirements are not met. The result? You guessed it. The same as number 1, 2 & 3. 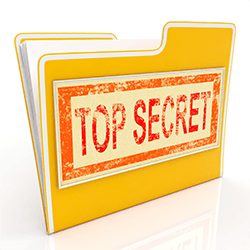 No one expects you to understand and remember every interchange qualification requirement for all the card types. Even if you are smart enough to memorize hundreds of interchange categories WITH their qualification and limitation requirements it wouldn’t benefit you much because point of sale equipment, as it exists today, does not identify which category you are meeting at the time the transaction takes place. You run the transaction and move on with your day because you can only do so much to help drive transactions into low rate categories. Some of the qualifications and/or limitations cannot be controlled, as we discussed above. It’s like taking a midterm or final exam in school. After you finish your test, you’re anxious to know your grade, but you have to wait until the teacher grades it and returns it to you. Only then do you find out what your efforts of studying have produced. In the same manner, the transaction takes place in 10 seconds or less and it’s sent off to be processed and qualified and you find out at the end of the month through a summary total on your monthly statement. It’s pointless to try to control the requirements or qualifications for any of your transactions that you may accept. It would be like trying to control the weather and of course we can’t control acts of nature, but there ARE things that you can do to help yourself and thankfully these are easy to remember guidelines. Always settle (“batch out”) your terminal/point of sale device each night. Not only do you collect your money quicker, you are going to help transactions that are on the fence of qualifying for a lower tier fall nicely into a low rate category vs. being bumped up to the next higher rate category. Comply with address verification guidelines if applicable to your business. If your company participates in a full address verification program be sure to enter those fields into the terminal rather than skipping them. Always swipe the credit card through a card reader when possible. Some types of businesses may not have the ability to do this, but if you do be sure that you are not using a terminal that is unreliable and requires you to occasionally enter a card number manually instead of using the swiping mechanism. You can “qualify” for lower rates (tiers) based on how you enter your customers’ card information. Taking simple sets to enter the data properly can save you pennies and perhaps dollars per transaction which can really add up. Fight the battles you can win and do everything you can within your power (and within reason) to give your company the advantage of capturing lower rates. Remember that these suggestions and guidelines will apply to any type of pricing structure that your company is set up on. In the end your best efforts to follow these easy and simple suggestions will help you save more of your hard earned money. If you want more insider information like the tips shared here, schedule a one on one consultation with our team of experts.